Providing transportation to points in Ulster County, Dutchess County NY. Our vehicles service Kingston, Woodstock, Saugerties, Lake Katrine, Port Ewen, Hurley, New Paltz, Rhinebeck, Hyde Park, Red Hook, Annandale, Rhinecliff Amtrak and all surrounding areas. 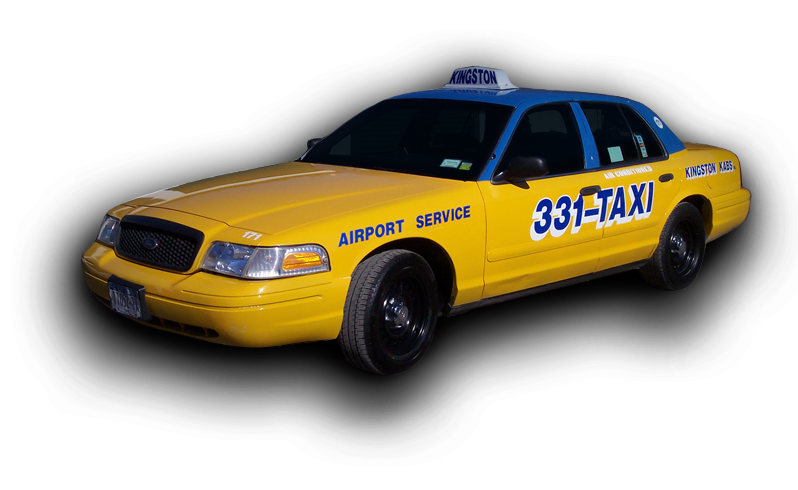 We also provide taxi service from Ulster County and Dutchess County NY to all major airports, including Albany, Stewart Airport, JFK, LaGuardia and Newark Liberty. Your transportation method should be a smooth ride, whether it is for vacation or business. Traveling can be stressful, sometimes even when you are renting a car. If you need to get to a rental company, you may still require a local car service. For taxi car service in Dutchess and Ulster counties, call Kingston Kabs. Calling ahead for our taxi service and making a reservation will reduce your worries. We offer local, long distance and airport taxi service from points in Ulster County and Dutchess County, NY. Use our vehicles for grocery, prescription drug and package pick-up and delivery. The Kingston Kab company has gone PINK for local breast cancer foundation, Miles of Hope! "We are tickled pink (pun intended!) that Kingston Kabs painted one of their taxis pink with our logo," said Miles of Hope Executive Director, Pari Forood." The more people who know about us, the more people we can help," she said. Miles of Hope helps people in treatment for breast cancer and their families in the nine counties of the Hudson Valley including Ulster, Dutchess, Orange and Greene." We have granted over $2 million dollars to date for programs and individuals who need help while in treatment," continued Ms. Forood. "If someone has breast cancer, we want to help."